Hei, vielä pari päivää aikaa osallistua haasteeseeni, nyt on tosi hiljaista, missäs askartelijat on? Aiheena synttärit numerolla, tässä pari vähän erilaista onnittelukorttia, perustuen tuohon upeaan pitsistanssiin. Toinen on punasävyinen, toinen pinkki, molemmat 60 v. onnitteluihin. 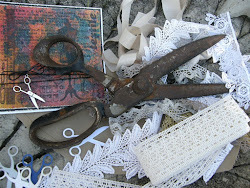 Here's two more samples, based on Tattered Lace beautiful lace diecut: Charming over the Edge. 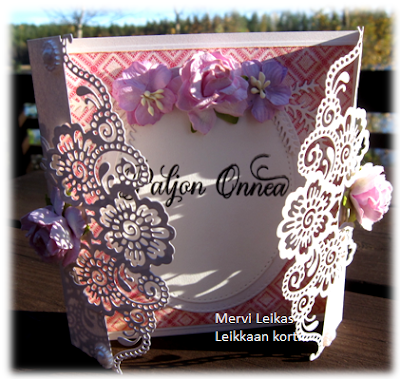 One with red papers and flowers, the other is more pink, these are for 60th birthdays. Mutta erityisesti tykkään tuosta pinkistä! Vau! Todella kauniita molemmat. Upea pitsiyksityiskohta. Such a beautiful card - I love your fabulous die cuts and pretty flowers. Thank you for joining us at Fab'n Funky. Oooh - ompa näyttävä stanssi. Onko hankala irroittaa? Kauniit kortit olet tehnyt molemmissa sävyissä. What a fabulous die cut, you've showcased so well. A stunning way to use the dies, a fabulous card. Thanks for joining us at Cardz 4 Galz. Caz DT. Wow! 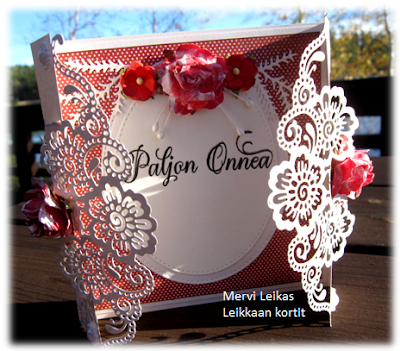 What an intricate card! 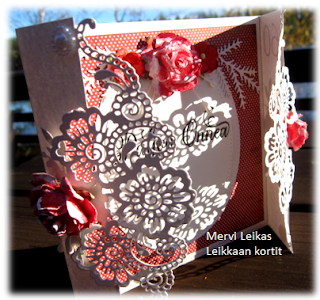 The die cuts look so lacy and the flowers are gorgeous! Thanks for playing along with us at Brown Sugar! Absolutely gorgeous! 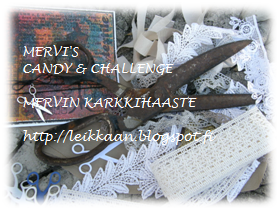 Thanks so much for sharing with us in the Love To Craft Challenge Blog's "October Anything Goes" challenge!